First things first, The Body Shop is considered a vegan brand. They don’t do any testing on animals, so if you’re vegan and you’re looking for a company like that, I recommend The Body Shop. They don’t have a lot of chemicals in their products, which is amazing, because we all know how a lot of products out there, they have too many chemicals that can actually hurt your skin. 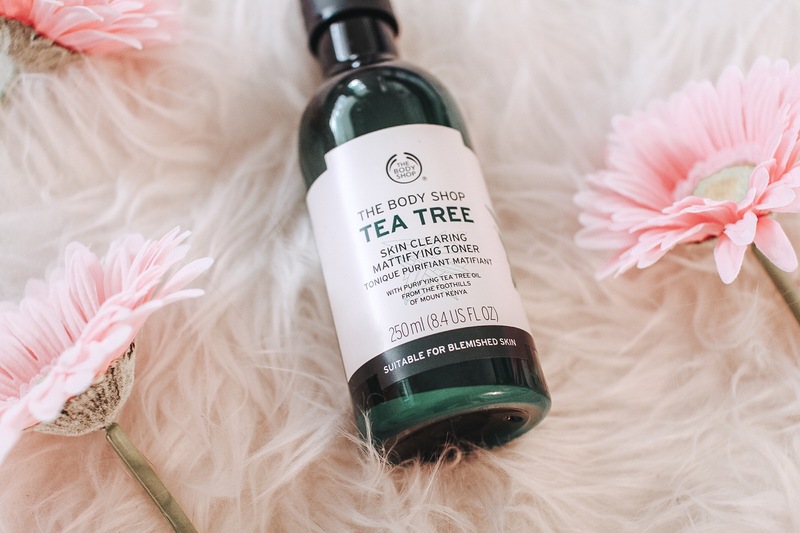 I’ve been using The Body Shop Tea Tree Toner for over two months, and now I can definitely tell you this is the best toner I’ve ever used. I mentioned in my last review that I have really oily skin and it’s hard to find good products out there. They never really work as I expect and it’s frustrating. 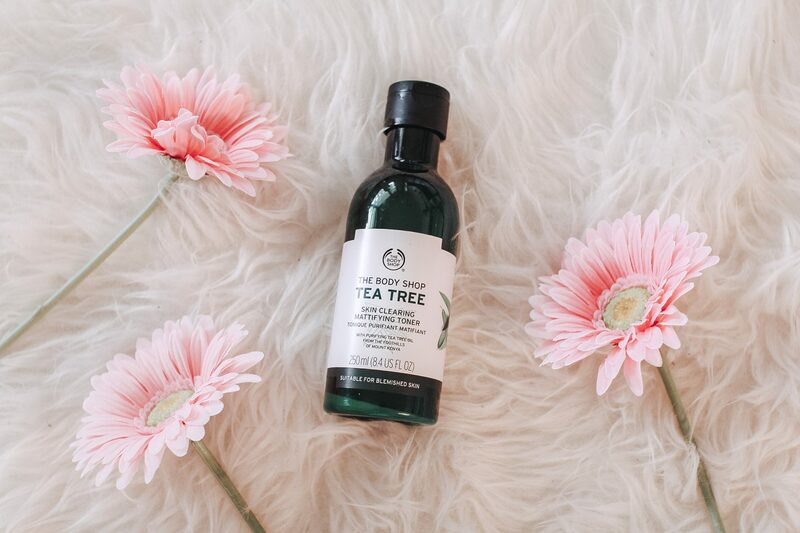 That’s not the case with The Body Shop Tea Tree Toner. It made my skin look so much better and less shiny. My face always feels super soft and clean after using it. The change was visible after two weeks using the toner, which is incredible, never had a product working so fast like that. Tea Tree Oil from the foothills of Mount Kenya. The product is a thin green liquid and smells really good. Can’t really describe the smell of it but it’s so refreshing and calming. I love how it feels on my skin. I usually use it twice a day; in the morning and before bed. I feel like if you use it more then two times a day, it will dry out your skin. One quick tip for those that have oily skin, is to use the “Night Mask” from the same tea tree line. It helps balance your skin, control the oil and minimize your pores. I love using it before bed. Overall, this is an awesome product for acne prone skin. 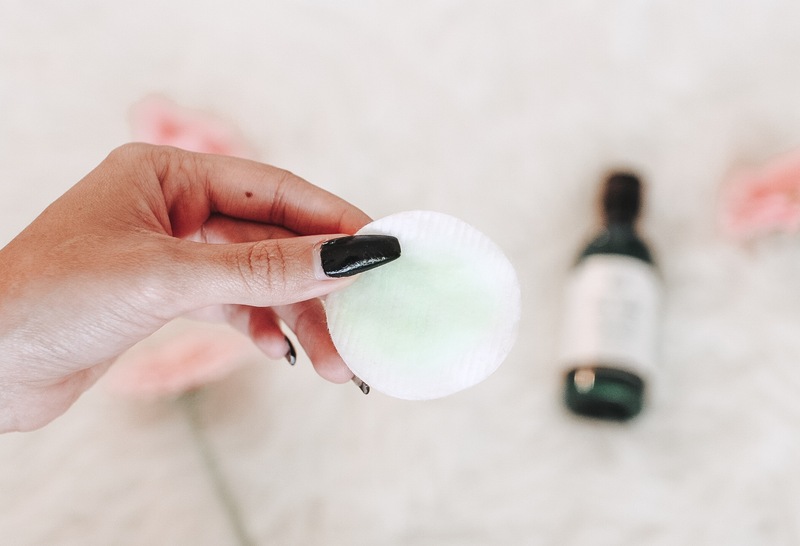 It really helps control the oil and minimize blemishes. After a few weeks of using it, you will see a big difference in your skin. It will look brighter, cleaner, softer, and prettier than it’s ever been.